The CISM or Certified Information Security Manager Certification is one of the most prestigious credentials for information security managers and has been earned by more than 27,000 professionals around the globe.With recognitions such as listing as the highest paid certification by Certification Magazine, and being listed as one of the most looked for certifications in the UK, Australia and the U.S., a CISM is a must-have for expanding your career in information security management. If you are planning to take the exam, the following information will help you on your way. CISM Certification requirements include a minimum of five years of experience in information security, a minimum of two years of experience as an information security manager, and, of course passing the CISM examination. You can substitute two years of general work experience with a CISA, CISSP certification, or a post-graduate degree in information security or other related field.You will also have to agree to and comply with the ISACA’s Code of Professional Ethics and the CISM Continuing Education Policy. You can choose to take the test before completing your minimum five-years of work experience, but you cannot achieve certification until you complete the work experience. 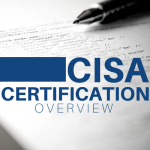 CISM certification costs vary depending on whether or not you are a member of the ISACA and how you intend to register. In addition to a certification application fee of $50, you can expect to pay between $625 and $750 for either an online registration fee or a fax or postage registration fee for the exam. You can join the ISACA for large discounts on any of these prices. There is a $50 fee for making changes to your registered exam and a $100 fee for processing a refund. 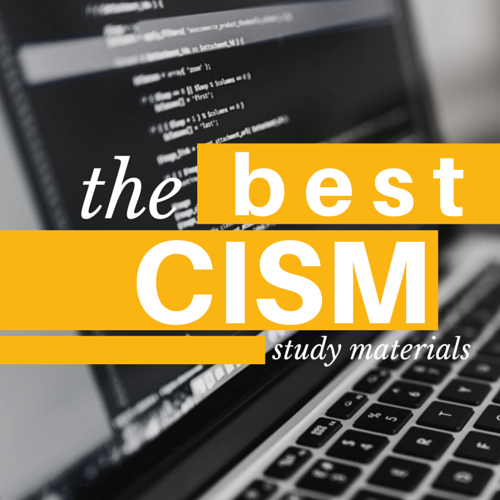 There are a number of Information Security Courses you can choose to take to prepare yourself for the CISM exam, and some even count towards your CISM work experience. CISA and CISSP certifications can be swapped out for a maximum of two years of work experience.General information security certificates or a completion of an information security management program at an institution using the Model Curriculum can be used to replace one year of work experience. 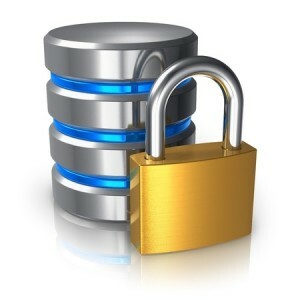 You can also study information security management at a variety of universities to enhance your knowledge to improve your passing score. While the ISACA offers a number of review and training courses, you can also seek alternate training online to brush up on your skills, learn more about the exam, and better prepare yourself to pass the test. You can prepare yourself with online courses provided by the ISACA or use non-ISACA material designed to improve your chances of getting a passing score and help with organizing study. Once you register for the CISM certification, you can access a number of training materials and study guides directly from the ISACA but none are free. These official training materials are ideal for preparing yourself for the certification, but there are a number of other options.The ISACA also provides manuals with review questions and sample questions with answers and explanations. These CISM books are updated yearly but typically include 815 multiple choice questions sorted by practice domains with a full sample test of 200 random questions. Review manuals are also available with information you need to pass the exam rather than questions. Additional supplementary material is also available for each book.Review courses provided by the ISACA are held around the globe and vary in length, study material and cost. Three day review courses intended to intensively prepare you for the exam are available just before one of exams, but you can also take more extensive reviews or shorter ones depending on your budget and needs. Most review courses from the ISASCA cost a minimum of $250 for non-members, and usually a maximum of $1,500.The ISACA also offers a free self assessment exam with 50 questions, allowing you to test your readiness for the actual exam. You can register for the CISM exam on the ISACA website, where you pay different fees based on your form of registration and how close it is to the exam. Two to three weeks prior to the exam, you receive an admission ticket listing when you have to show up, what you have to bring, and a schedule for the day. You have to bring a photo ID and your admissions ticket. It is important to show up at least 30 minutes before the exam begins, as doors close at this time.As for exam dates, the CISM exam is available twice per year in June and December. The test itself takes four hours and includes 200 total questions, giving you just over one minute per question. You get 4 points per question and need a minimum passing score of 450, or roughly 113 correct questions. A perfect score of 800 requires you to correctly answer all 200 questions. You will receive your score in the mail five weeks after finishing the exam. Once you pass and have your score, you can submit your CISM application to get your certification. Once you have your CISM exam results, you can apply for the CISM certification by downloading and printing the application from the ISACA website. You also have to submit proof of five years of experience of work, with signed verification from your employers. Once you mail it in, ISACA reviews your application and, providing you qualify, issues your certification. You have to pay the application fee of $50 before mailing it in. With only a 50-60% first time pass rate , it is important to study and learn the questions for the CISM before you take the exam. Organized study is important for passing the exam, but depending on your learning skill and current familiarity with the test questions, which you can assess by taking the ISACA assessment test, you can approach studying in a variety of ways.If you are close or near to a passing score, learning using the ISACA’s provided books can be helpful. You can also choose to take one of the available review courses. If you are struggling with the test material, you can choose a third-party preparatory course to ensure that you are familiar with the material and ready to pass.The CISM does not require you to study before you show up, but it is important that you do so in order to ensure that you pass. With a low first time passing percentage, studying, preparing yourself for the mental pressure of the test, and making sure you have done well on several practice exams first allows you to pass with the best score.